DVD to Video is specially designed to convert DVD to MP4, MOV, AVI, MKV, WMV and other video formats for smooth playback on your phone, tablet or elsewhere aside from DVD player. DVD to Video is currently available for Windows version. 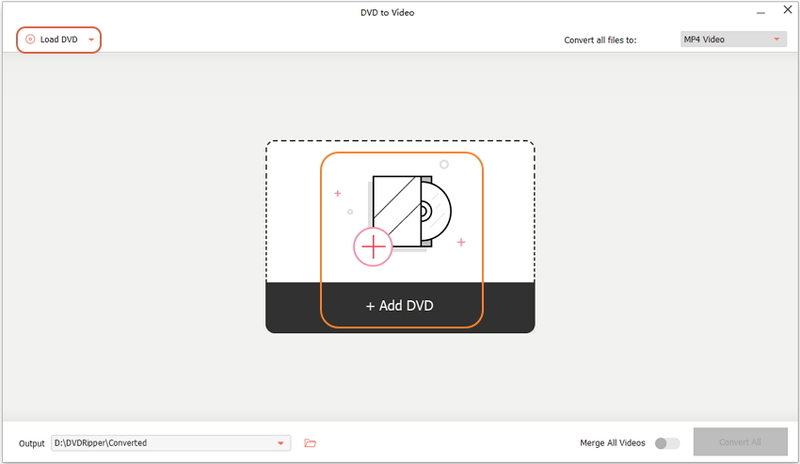 Open Wondershare DVD Creator and click More DVD Tools >> to get the Toolbox window. Insert your DVD disc to the computer and click Load DVD or to import DVD movie to start. 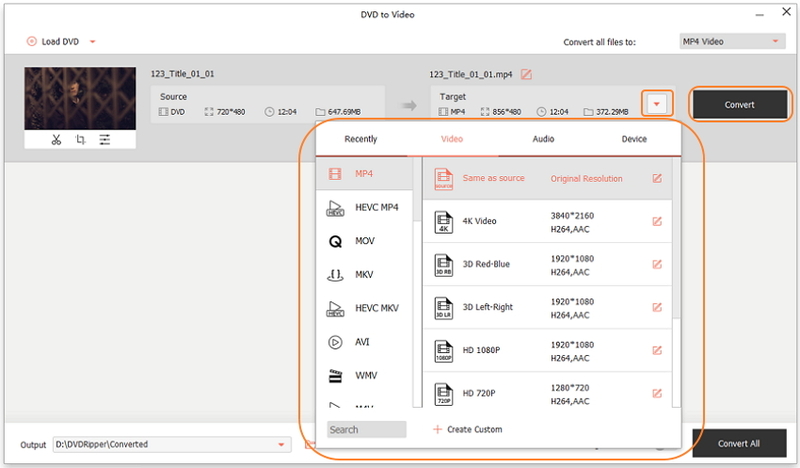 You can also click the drop-down icon beside Load DVD to add DVD folder, ISO or IFO files for DVD video extraction. Then program will display the DVD disc files as follows. Check the box before any DVD file in the left and hit the play icon as circled would allow you to preview the DVD movie in real-time. Select your favorite DVD movie files in this way. Click beside Profile to select an output video format for the DVD disc and press Start to begin ripping video from DVD. Once finished, you'll receive a prompt showing you All conversion tasks have been finished. Then you can go to C:\Users\admin\Documents\DVD Ripper\Output(by default) to fetch the extracted video from DVD. If you want to customize the output folder for the video ripped from DVD disc, just click Browse... to specify your desired path.